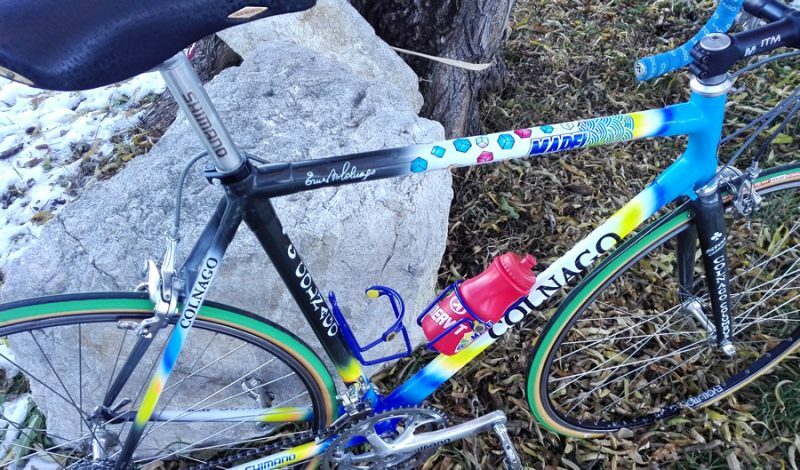 When Ernesto Colnago released the Colnago C40 he started a revolution. Before, carbon fibre has been seen as the future of cycling and there have been loads of experiments going on since the 1970s. But to that point no carbon fibre bike proved so safe and light at the same time, that it was suitable as a professional team bike. Well constructed enough to equally compete in the mountains and the classics of Flanders. 1994, to celebrate the company’s 40th birthday, the C40 was first presented to the public. 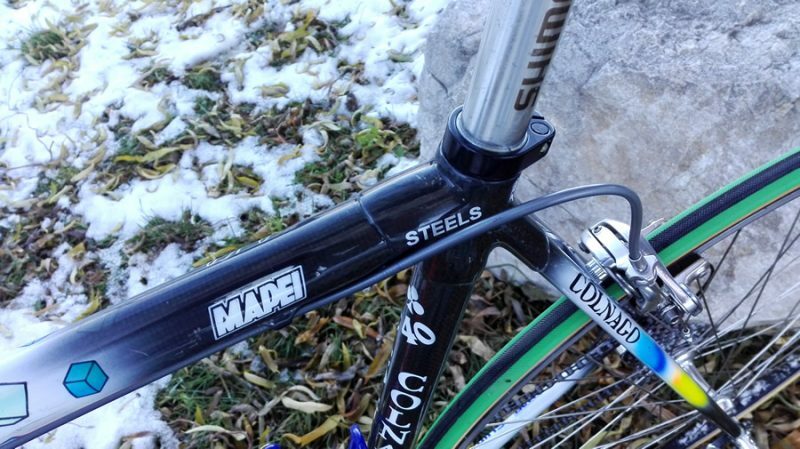 A construction of profiled carbon fibre tubes, fitted together by well proportioned carbon fibre lugs and steered with a high tech Columbus steel fork. And it became available in an unbelievable amount of paint schemes. All paintjobs were carried out by hand and found the company some extra fame. 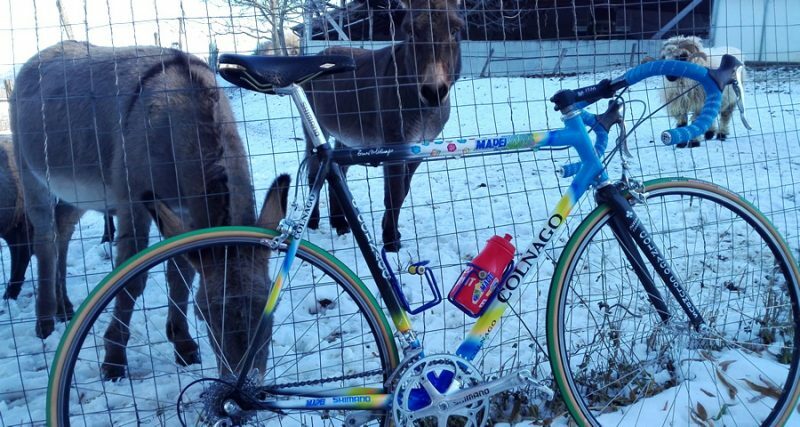 However, the frame had yet to prove that it was capable of being a threat to the aluminium and steel bikes in the hard races pro teams have to attend. 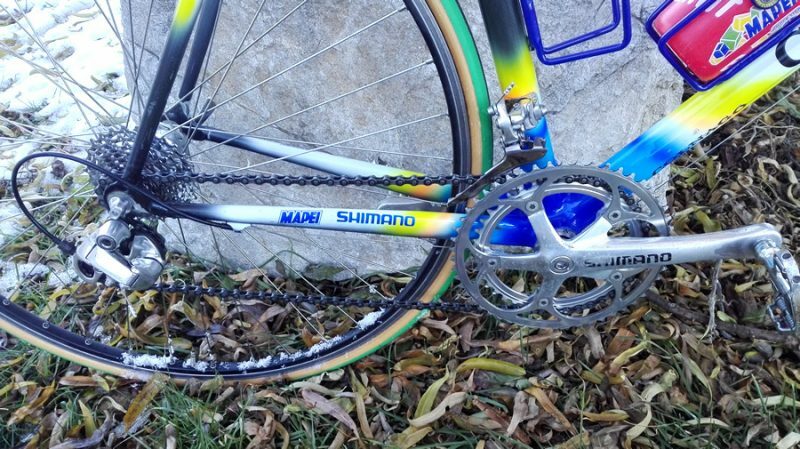 Ernesto outfitted the Team Mapei as the first squad to race his prestigeous machine. They proved that the bike was capable of coping with the roughest conditions. And how they did! 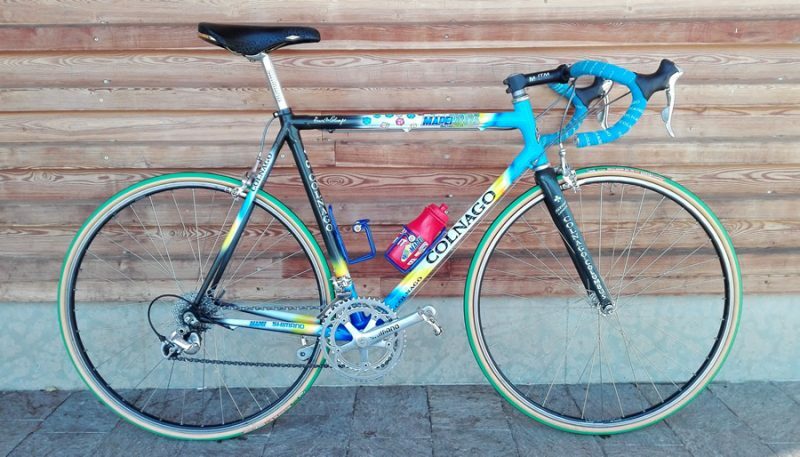 Mapei’s Franco Ballerini won the 1995 Paris-Roubaix and suddenly everybody was aware of the fact that the demise of Aluminium frames might have begun. 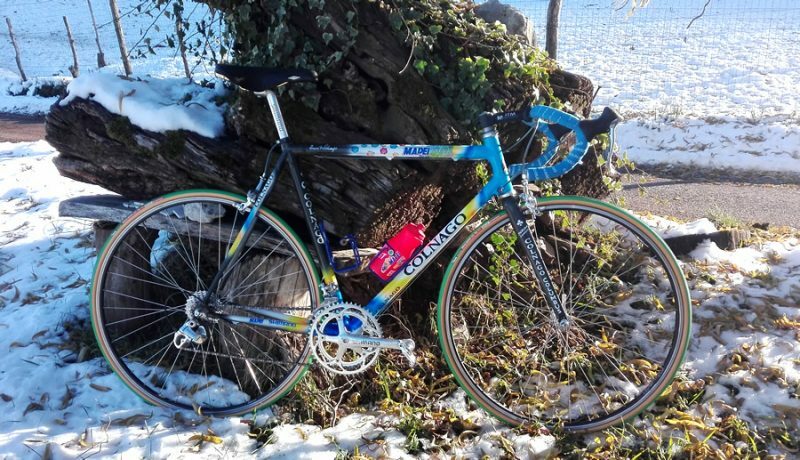 The next year ultimately made the frame a legend, when Johan Museeuw, Andrea Tafi and Gianluca Bortolami crossed the line at the Roubaix velodrome as first second and third of the race. As if this would not have been phenomenal enough, Team Mapei repeated the triple in 1998 and 1999. 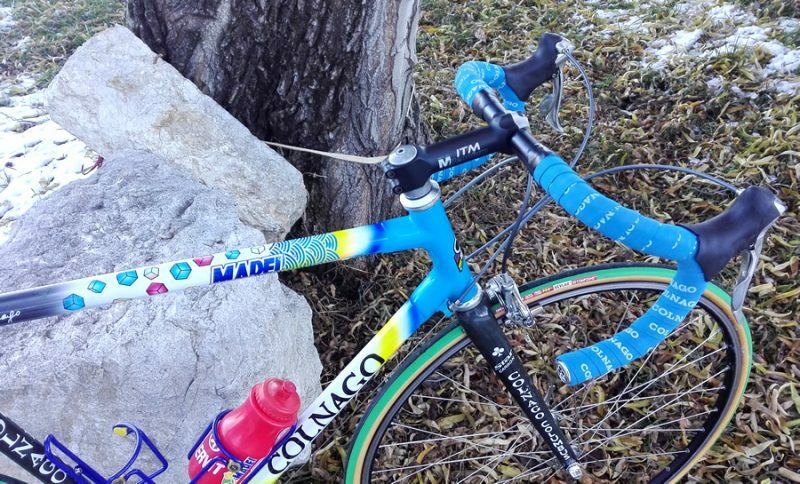 1996 is the year that Tom Steels joined the Team Mapei. His best season was 1998 when he won the national championship for the second time and returned to the Tour de France to win four stages. The point jersey would also have been his, as the people in front of him all admitted to doping. He was also national champion in 2002 and 2004 and won five more stages in the Tour. Steels retired from racing at the end of the 2008 season, during which he raced for Landbouwkrediet – Tönissteiner. In October 2010 it was announced that he would work as a coach for Quick Step. 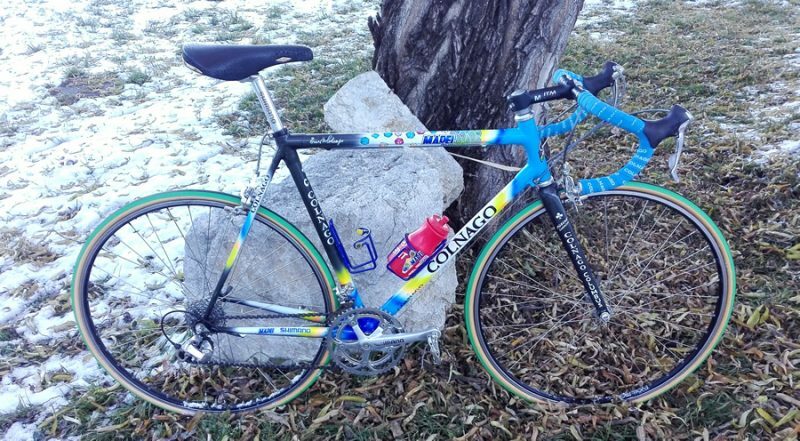 Here is the full info on the Tom Steels Colnago bike from the Mapei team of 2000. 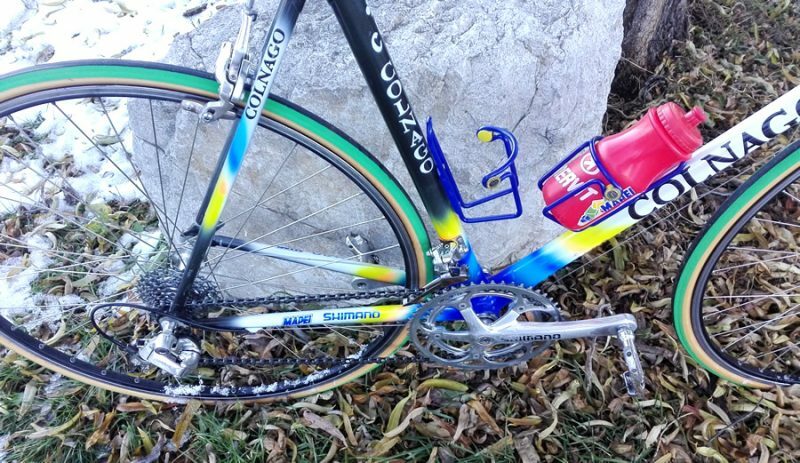 Finishing touches: Mapei Enervit water bottle and Elite Ciussi Bottle Cages! 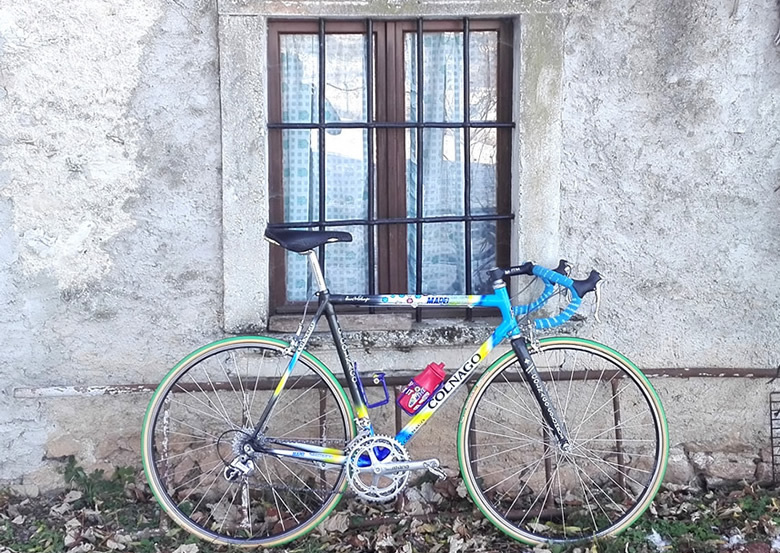 This entry was posted in Bicycles, News, Restored and tagged 2000, bikepron, c40, colnago, Dura-Ace, itm, mapei, oldbici, pro bike, quickstep, Race Champion, review, road bike, Rolls, San Marco, shimano, tom steels, UCI.